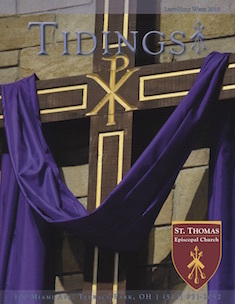 Next Sunday, April 29, Bishop Breidenthal will visit St. Thomas, preaching and celebrating at both morning services, and receive eleven people into the church and confirm our eight confirmands. He will also lead a special combined adult forum in the Parish Hall from 9:15-10:15. Join us for this special day! Next Kroger Card Change – Important!